Composer, author and Professor Thomas Clark has served as Director of the School of Music since 2008. With over 50 years of musical experience, Thomas S. Clark brings over 40 years of college teaching and academic administration experience to his role as Professor of Music and Director of the Texas State University School of Music. Clark earned a Doctor of Musical Arts degree from The University of Michigan in 1976. He studied composition with Pulitzer Prize winner Leslie Bassett and was trombonist for Contemporary Directions, Michigan’s Rockefeller Foundation supported new music repertory ensemble. He has also studied trombone with virtuoso trombonist Stuart Dempster. His compositions have been performed at festivals throughout the U.S.A., in Canada, Japan, Australia, and New Zealand, three times at “Moravian Autumn” the Brno International Music Festival in the Czech Republic, and at the Festival Internacional Alfonso Reyes in Monterrey, Mexico. Several of his works, affiliated with BMI, are published by Borik Press (based in North Carolina) and recorded on Centaur Records. His writing has appeared in Perspectives of New Music, In Theory Only, Computer Music Journal, New Groves Dictionary of American Music, and Contemporary Composers published by St. James Press. 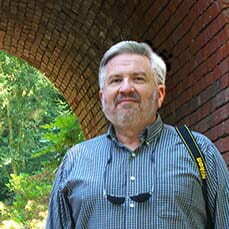 Co-author with Larry Austin of the landmark book, Learning to Compose (1989), Clark also wrote an aural development textbook, ARRAYS, published in 1992. His most recent book, Larry Austin: Life and Works of an Experimental Composer, was published by Borik Press in 2013. After teaching at The University of Michigan, Indiana University, Pacific Lutheran University, and for 10 summers at the National Music Camp in Interlochen, Michigan, in 1976 Dr. Clark joined the music faculty of the University of North Texas. There he developed the New Music Performance Lab and served as Chair of the Doctor of Musical Arts program and Director of the Center for Experimental Music and Intermedia. He went on to serve eight years as Associate Dean for Academic Affairs and one year as Interim Dean of the UNT College of Music. In those administrative roles, he helped found the Texas Center for Music and Medicine, the Center for Shenkerian Studies, the Artist Certificate in Music Performance program, and the “ASPIRE” programs promoting academic success and student retention. He retired from UNT in 2004 and holds the title Professor Emeritus at that institution. From 2004 through 2008, Dr. Clark served as Dean of the School of Music at the University of North Carolina School of the Arts, an affiliated campus of the University of North Carolina system. He also served as Executive Director of the A.J. Fletcher Opera Institute, an exciting professional training program. Longtime hobbies have included sailing, photography, bicycling, writing, and a voracious reading habit. You can view his digital photo images at the blog site, TClark images.